Florence: easy to reach by train or by car. Once you get to the city center, you will be overwhelmed by its artistic and historic charm. 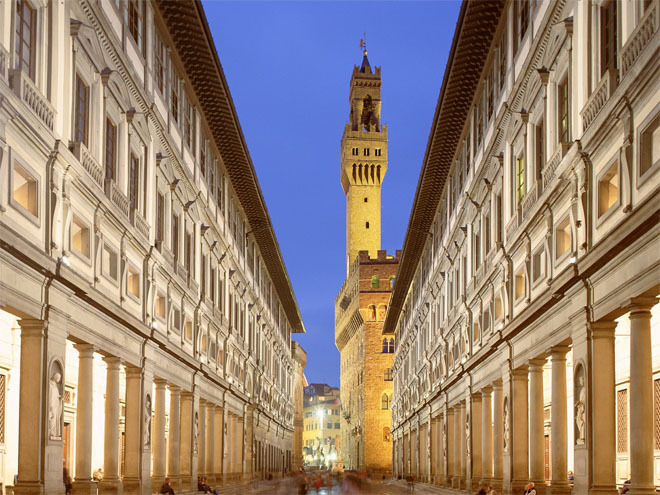 You can visit the Uffizi Gallery, the Accademia Gallery and the Museum of Natural Science, or, armed with a practical guide from the Palazzo Vecchio, you can discover some of its more picturesque streets. Arezzo: a medieval town about 30 minutes from La Fornacina, offers an opportunity to see masterpieces by Piero della Francesca and many extraordinary churches. It is also the jumping off point for excursions to the nearby Casentino valley or to Cortona, Assisi and Perugia. Siena and Val d'Orcia: another part of Italy's abundant artistic, historic and natural wealth. The center of the city known worldwide for its traditional Palio is also a UNESCO World Heritage Site.